On a calm sunset in the Texas Hill Country, a single firewheel, also known as an Indian Blanket, sits in a sea of bluebonnets. 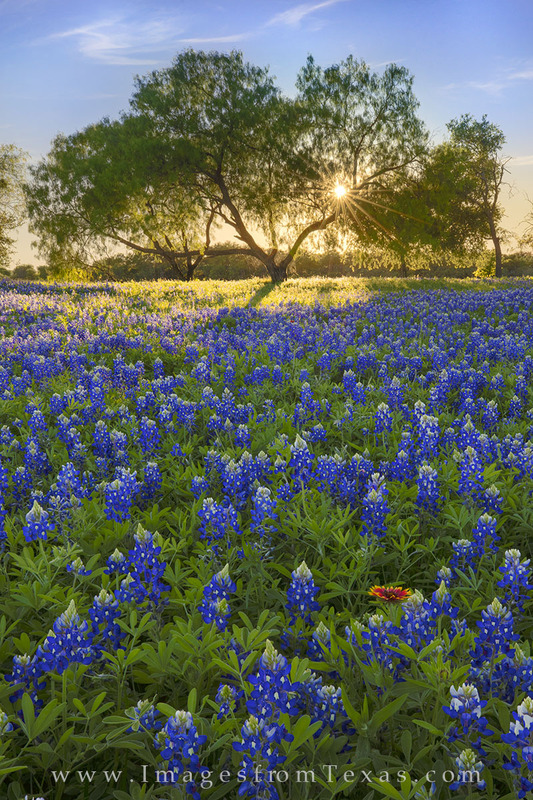 With light streaming through the tree, these beautiful Texas wildflowers soak up their last light of the evening before resting for the night. Photo © copyright by Rob Greebon.